Available in 2 colors: Black and Red. Can be used ideally for a Bar , Kitchen, Dining and showroom counters. 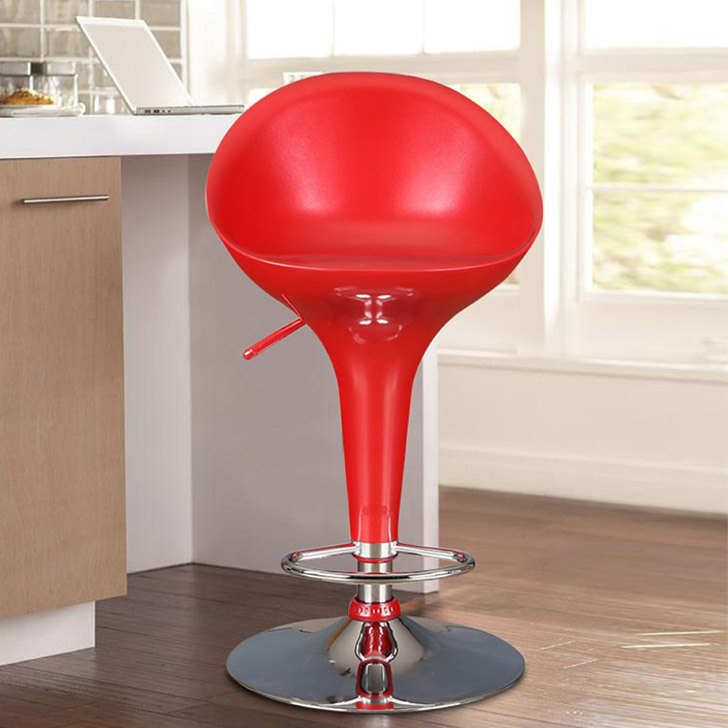 Barstool with chrome base and ABS seating. Chrome gas lift with 160 mm stroke. Height adjustability from 805 mm to 1010 mm. Stable base with large diameter of 410 mm with 1.5mm thickness chrome base.